By Steve Vertlieb: Among the many highlights of my recent pilgrimage to Hollywood was an entirely unexpected, nearly miraculous, accidental “close encounter” with the current star of one of the most lucrative and beloved movie franchises in motion picture history. I’m still amazed, weeks after this most astonishing occurrence, that our meeting actually occurred, as these remarkable photographs will happily attest. While waiting backstage to speak with composer John Williams at the venerable Hollywood Bowl, I noticed that Daisy Ridley’s name was posted on one of the dressing room doors. She hadn’t appeared on stage with Maestro Williams during the Star Wars concert selections, and so I wondered why. I turned to my brother to mention the strangeness of the occurrence when I inwardly gasped at the realization that the young star of both Star Wars: The Force Awakens, and Star Wars: The Last Jedi was standing just inches in front of me. Hearing her British accent in conversation with the director of the latest sci-fi epic, I nudged my brother Erwin, and whispered “I think that Daisy Ridley is standing right in front of me.” Hearing my admittedly excited observation to my little brother, she turned toward me with a big smile and said hello. 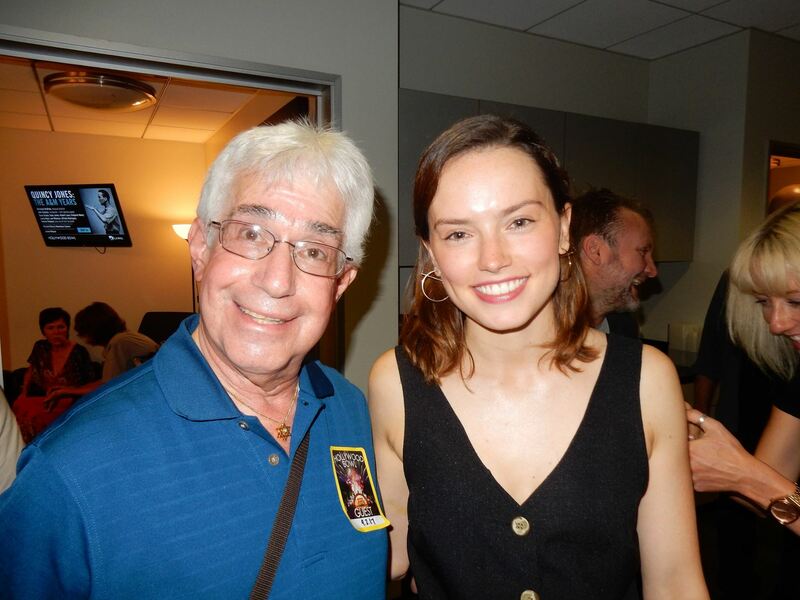 She was as delightfully adorable in person as she is as “Rey” on the big screen in the spectacular continuation of the cherished science fiction franchise. I couldn’t help but recall John Williams’ own wonderfully charming admission, upon receiving his A.F.I. Life Achievement Award last year, that he didn’t want any other composer but himself writing music for this lovely young actress. I completely understood his feelings upon meeting Miss Ridley. 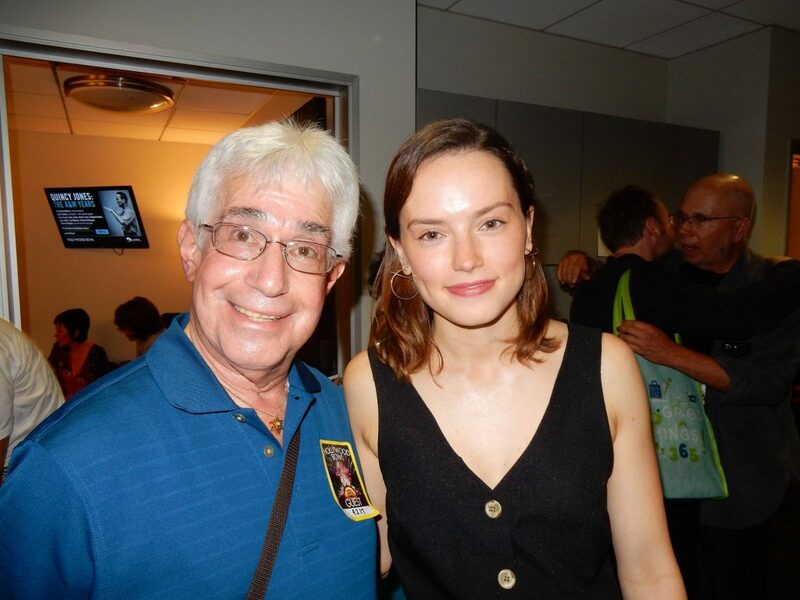 This entry was posted in Poor Trufan's Almanack and tagged Daisy Ridley, Star Wars, Steve Vertlieb by Mike Glyer. Bookmark the permalink. Judging from her Facebook feed, she seemed like a really wonderful sort. Unfortunately, there was a troll incident at one point and she doesn’t seem to post much anymore.